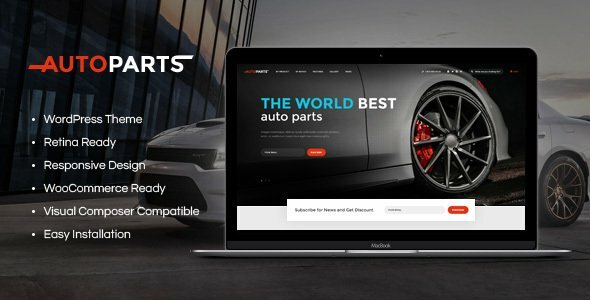 We’re introducing you our new stylish and powerful WordPress theme with a high-class design perfect for online auto parts store. The theme can also be used for car repair shops, auto mechanics, car wash services, garages, auto blogs, and other websites related to vehicle maintenance and car sales. The theme has an attractive layout that will perfectly fit for your car business, and there are so many shortcodes and widgets to manage the theme! So that your business runs smoothly, we offer the compatibility with Visual Composer, if you want to create more page layouts; Revolution Slider as a home slider; Essential grid galleries that allow you to display any contents as awesome grids. The theme is a fully responsive and 100% Retina Ready theme, so no worries about how your website displays on screens of different resolutions. - Essential Grid is fixed.